The aim of the COST Action IS1007 meeting is to provide new perspectives and practical examples of the transformative role of culture for a sustainable future. 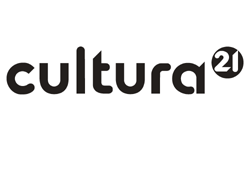 The symposium will investigate the many ways of integrating perspectives on cultural change, social learning, experience-based training, innovation and creativity to grasp the role of culture in sustainable development, working with a dynamic concept of culture (culture as process and communication). Today, climate change and climate crisis roams high on the international agenda. At the same time, financial and economic crisis in many parts of Europe may overshadow the climate crisis. How to reconcile, and what role may art and culture represent in this respect? Dr. Sacha Kagan, of Leuphana University of Lüneburg, Germany, who is on the board of Cultura21 Germany and active on the international level of C21, is also invited to speak. The meeting is organized by the Department of Culture and Humanities, Telemark University College. Fee: 110 € covering the scientific program, conference materials, lunches and coffee breaks, conference dinner, and the extra-scientific program.